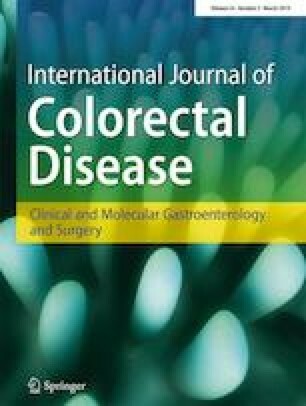 The aim of the present study is to explore the prognostic impact of a subdivision of pT2 by the depth of invasion into the muscularis propria in rectal carcinomas. Data from 269 consecutive patients with rectal carcinoma treated with primary tumor resection and lymph node dissection between 1986 and 2012 were analyzed with respect to locoregional and distant recurrence, disease-free survival, and overall survival. The depth of invasion into the muscularis propria of pT2 carcinomas was categorized by the pathologist into two groups: pT2a, invasion into the inner half of the muscularis propria; pT2b, invasion into the outer half of the muscularis propria. One hundred nineteen of the 269 patients (44.2%) were classified pT2a and 150 patients (55.8%) were classified pT2b. In univariate analysis, significant differences between pT2a and pT2b carcinomas were found for locoregional recurrences (5-year rates 5.3 vs 14.0%; p = 0.025), distant metastases (14.1 vs 18.7%; p = 0.026), disease-free survival (78.2 vs 62.5%; p = 0.022), and overall survival (87.4 vs 72.5%; p = 0.013). In multivariate Cox regression analysis, the pT2 subdivision was found to be an independent risk factor for locoregional recurrence (hazard ratio 2.6; p = 0.023), disease-free survival (HR 1.4; p = 0.022), and overall survival (HR 1.5; p = 0.020), but only marginally for distant metastasis (HR 1.7; p = 0.083). Other independent prognostic factors were lymph node status, lymphatic invasion, and grading. The depth of invasion into the muscularis propria is an independent prognostic factor for pT2 rectal carcinomas that will support decision-making for preoperative, surgical, and postoperative treatment. We thank Prof. Dr. Paul Hermanek who originally had the idea for this study and PD Dr. Annelore Altendorf-Hofmann for the data collection before 1995. According to the ethics committee, written consent was not necessary for this retrospective analysis. All clinical data were analyzed anonymously.